In attesa del pranzo....o della cena???? That looks like a lovely piece that you were showing. 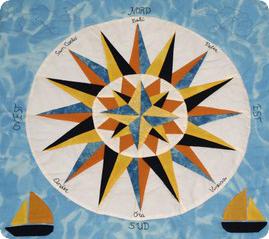 Is it pieced or applique? It looks like you had a fun time with your friends!! The patchwork you are holding is beautiful! !